Designed by local architect Alfred von Bachmayr, the park is composed of a series of freestanding tiled walls in a spiral pattern to create an ambiance of peace and tranquility. 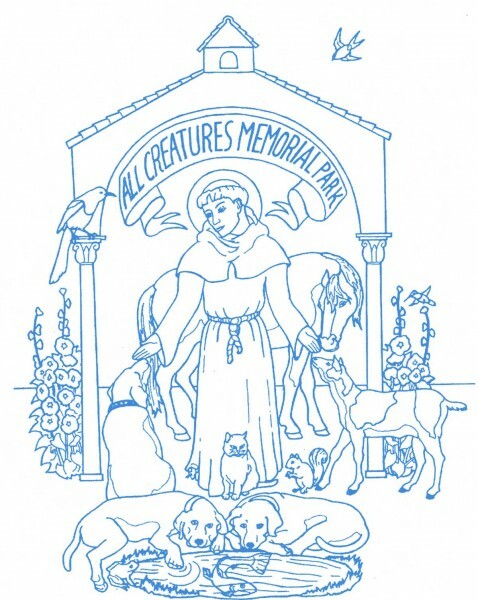 Serving as a warm welcome to the park is a two-sided wall featuring St. Francis of Assisi and an assortment of animals. Artist Elizabeth Hill has created the art work for the St. Francis walls and will continue to design other related walls upon which memorial tiles will be intermingled with the artistic backdrops. The mission of All Creatures Memorials is to honor and celebrate the lives of the animals that have touched our hearts. We do this through offering custom commemorative tiles, through the restful setting of All Creatures Memorial Park, and through “Isaac’s Fund” which assists with the veterinary care for animals in need. 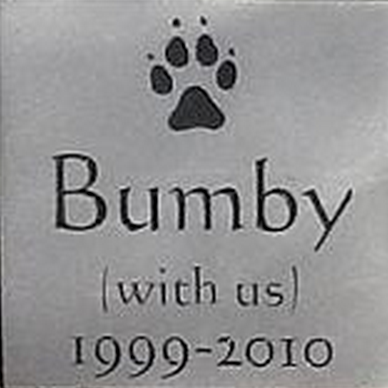 All Creatures Memorials offers commemorative customized (8 in. x 8 in.) aluminum tiles available to purchase for either personal use or placement in our Park. 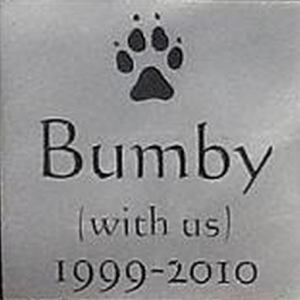 This enduring pet memorial will contain the animal’s name, birth and death years and a generic footprint.